World Environment Day 2014: Are You Paying Attention? Today is World Environment Day, and if you're not scared about climate change yet, you are definitely not paying close enough attention. Flor talks about raising crops with little access to water. Photo by Dave Anderson, courtesy of Heifer International. It's going to be a rude awakening if the globe gets to the point scientists are predicting. And I'm not talking about snow during spring break in the South or even polar bears searching for ice -- though we cannot ignore these signs, either. I am talking about the ability of the men and women around the world who grow the vast majority of the world's food being seriously compromised. Oxfam does a good job summarizing key findings from the 2014 IPCC report. Climate change: the impacts on crops are worse than we thought. Climate change also means higher food prices for most people. Without action, climate change will reverse the fight against hunger - perhaps by several decades. It is not too late to act, but we need to get serious about adaptation. We must cut greenhouse gas emissions now. For those of us in the hunger-fighting sector, this points to serious trouble. 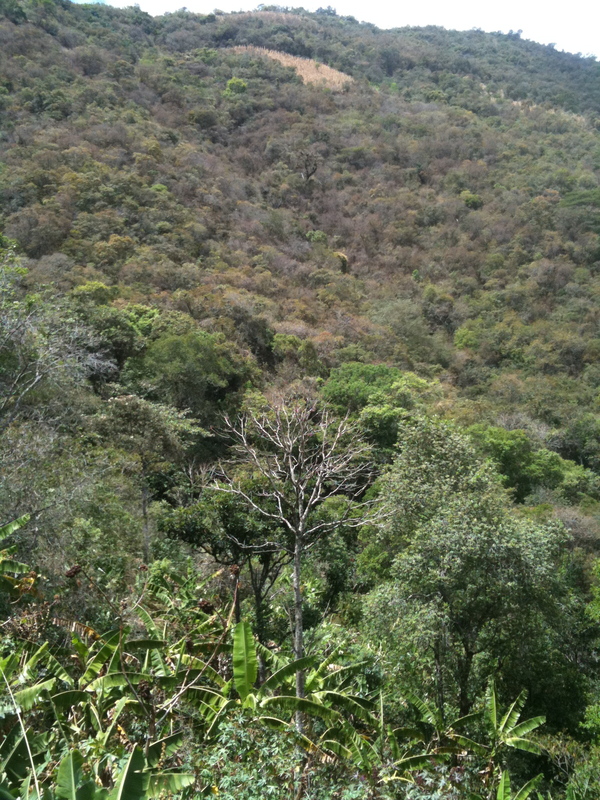 Difficult terrain for growing food in Ecuador's dry forest. Photo courtesy of Heifer International. But there is good news: We have a great opportunity to shape the future health and wellbeing of our planet and to feed the world's growing population at the same time. As Heifer International and our partners reach more and more smallholder farming communities through our work, we are able to share and promote agroecology. Agroecology is an approach to farming that has the power to provide an abundance of food while also preserving and restoring the environment. It's not a fad, and it need not be relegated to buzzword status. Many farmers around the world have been practicing agroecology for years, and with great success. It's accomplished by combining social, cultural, economic, political and ecological systems to work together to achieve sustainable agriculture production. Heifer International has promoted agroecology by name since the mid-1980s. Our farmers work within an integrated system of plant and animal production practices to satisfy human food and nutrition needs, enhance environmental quality and natural resources, and make the most of on-farm and renewable resources. In 2011, Olivier De Schutter, United Nations Special Rapporteur on the Right to Food, issued a report that clearly demonstrates how agroecology has the power -- if adequately supported -- to double food production, mitigate climate change and help end rural poverty and hunger. I've had the opportunity to witness smallholder farmers healing the land and feeding their families and communities through agroecology. Several years ago in Ecuador I met a farmer named Don Juan Collaguazo. 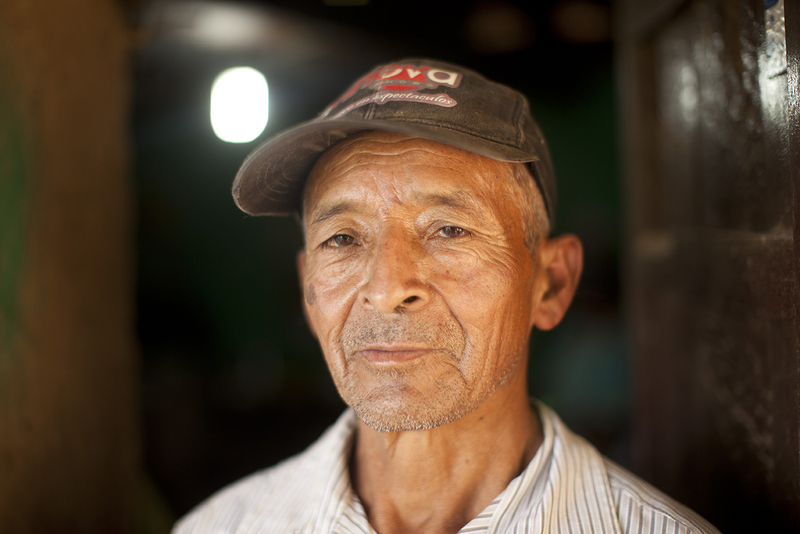 He and his wife, Flor, live in the dry forest and practice agroecology. 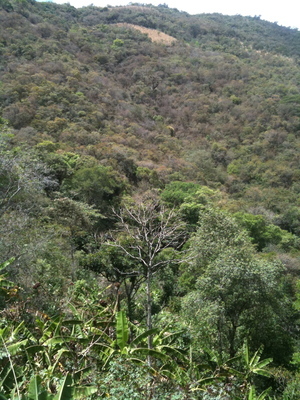 Aptly named, the dry forest has a long dry season, so farmers must plan accordingly. For 10 years now they have been putting their Heifer training into practice. They do not have access to enough water to irrigate all of their crops, so they must manage what water they have carefully. Other practices they employ include making their own organic fertilizer and insecticides, terrace farming, cover crops, improving the soil, and, probably most importantly, maintaining an extremely diverse farm. Don Juan of Ecuador. Photo by Dave Anderson, courtesy of Heifer International. Don Juan and his family grow many varieties of fruits and vegetables, keep livestock, and have a fishpond in the dense forest. Flowers bloom all over their land, and butterflies made themselves at home. It was absolutely stunning how productive their farm was. The family works hard to care for the soil, and they are rewarded for their efforts. They take their yields to the farmers market in the nearest city, Loja, where market vendors are clearly segregated into agroecological producers and "conventional." We need more farmers like Don Juan. Caring for their environment, putting biomass back into the soil, cooling the planet, and growing food all at the same time. We need more equitable land and water distribution, agriculture policies that focus not only on export growth, but also on the smallholder farmer, and access to irrigation and credit for small farmers. 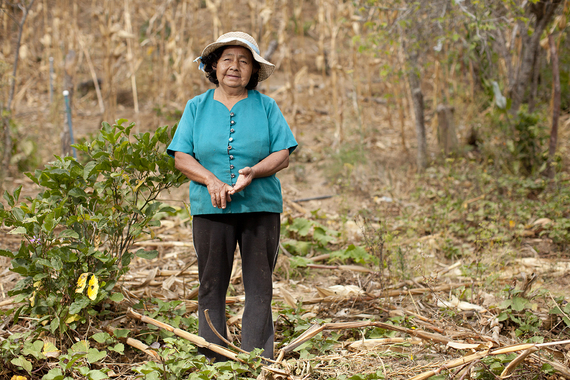 If we can empower these farmers, we can end hunger and reverse climate change. This post originally appeared on Heifer International.